The New Zealand Building Code energy efficiency requirements are based on the system performance of building components rather than R-Value of individual elements, such as insulation. The laboratory tested R-value of wall insulation is not necessarily an accurate reﬂection on its ‘real life’ installed performance. Construction R-value is a combination of the R-values of the individual components, including the effects of thermal bridging of the framing. Long-lasting without sagging or settling. Wall insulation should not sag or slump over time since this would result in a signiﬁcant reduction in its performance. Be self-supporting to maintain it's nominal thickness. The use of mechanical ﬁxings, folds and creases reduce R-value proportionate to the rate of compression. These three factors have proved to be a real challenge for traditional insulation materials. 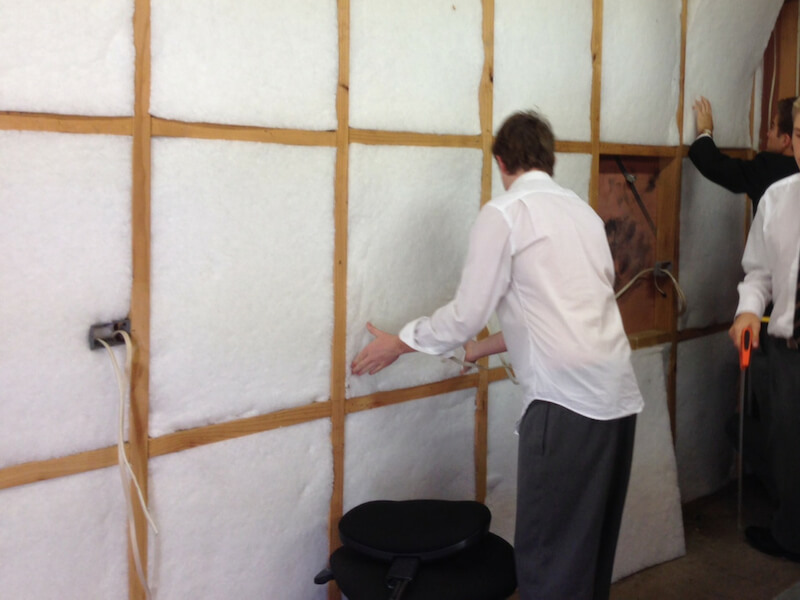 InsulPro Manufacturing has the only Airlay insulation manufacturing plant in Australasia producing medium and high density thermal and acoustic insulation. The Mammoth™ wall insulation produced on the Airlay plant is different to traditional carded polyester or ﬁbreglass insulation. The springy nature of Airlay medium density insulation means it squeezes into wall cavities to be self-supporting, uncompressed and gap-minimising. It performs exceptionally well in wall and underﬂoor systems. To prove and document the performance of Mammoth Airlay insulation, New Zealand’s leading building research laboratory was commissioned to undertake comprehensive independent insitu testing. Conducted over the winter period June - July 2014, measurements were made using heat ﬂux transducers and associated software developed and calibrated by New Zealand’s leading building research laboratory. Peace of Mind - when performing H1 calculations, specify the tested Mammoth Airlay Wall insulation with confidence, knowing that the wall construction R-Value will outperform the generic averages for equivalent systems.